Bristol-Myers Squibb is a global biopharmaceutical company whose mission is to discover, develop and deliver innovative medicines that help patients prevail over serious diseases. 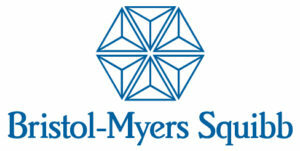 Headquartered in New York City with 25,000 employees globally, Bristol-Myers Squibb is focused on helping millions of patients around the world in disease areas such as oncology, cardiovascular, immunoscience and fibrosis – all of which are areas of high, unmet medical need. Bristol-Myers Squibb is a pioneer within Immuno-Oncology and remains dedicated to advancing the immuno therapy landscape. From 2011 to 2017, Bristol-Myers Squibb has invested seven times in Denmark, making Denmark the country that has attracted the most BMS-investments outside the US in that period, both in number of partnerships and agreements, and in monetary terms. Bristol-Myers Squibb has engaged in very significant partnerships and collaborations throughout the years, contributing to the thriving Danish life science industry. The investments made from 2015 to 2017 make Bristol-Myers Squibb one of the biggest foreign investors in Denmark overall.